I already have the charcoal gray and love it!! Now buying the blue. Would love a brown color. 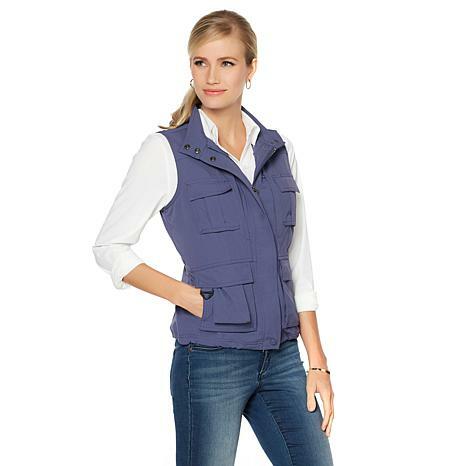 This vest is made well and the fabrication is high end. I think it will last a long time. Design and cut is also flattering and comfortable. Great for travel or all day events when you don't want to carry a bag. I love this vest!!!! I got the red, its not inexpensive, but the fact you dont need to carry a purse is worth it. 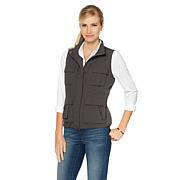 The vest for everything and everything in it's place. Can go without a purse , if carrying not too bulky sized items, hands free. I bought the red, may be going back for another color.